Haven't yet fitted them into my boat, but they arrived within couple of days of the order, and were well-packed and seem in excellent condition. A great service. 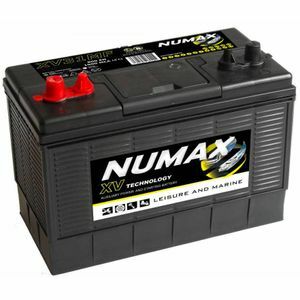 The Numax Battery arrived at the specified time, and was carefully packaged. The instructions were clear and it was fitted to our new caravan. I was impressed by the high level of communication during the delivery process by Tayna, and having had a Numax battery for the past 6 years, I know that it is a quality product. My online questions were clearly and efficiently answered by Kai. I have already recommended Tayna to several caravanning friends. Excellent product and delivery. Will recommend to friends. I've had these batteries before and they are excellent (in my case as domestic batteries on a boat). The pricing and service from Tayna is excellent. Next day delivery. 1st class product and service from Tanya Batteries. Excellent product with prompt delivery. Just about to order more! Performance seems good considering the price point. Dual posts are useful for linking the bank together. Excellent service and batteries are working very well. Purchased 2 batteries and will be replacing the other 2 batteries very soon. We definitely purchase from you again. I’ve had one of these batteries in my camper as a leisure battery for 5 years. Still going strong and have bought another to increase the 12v output. Arrived promptly and very well packed. I recommend. Product was exactly as required. The service in getting to us was amazing. Marie went to huge lengths to achieve our delivery requirements. Excellent service. Next day delivery. Very well packed. Kept well informed of progress with order. Wouldn't hesitate to use again. Great battery. Loads of power, holds its charge well and lasts for years. Great value for money. Only had battery couple of weeks. But works fine.